When it comes to plug n play systems that look like, feel like or play vintage video games, I must own them! Although to some these systems might seem outdated, the plug n play era is pretty new to me; but I’m happy to dive into any of them that I don’t already own. So far, through the many different plug n play systems I have collected, I’ve been pretty surprised by what they bring to the table. Obviously I prefer to collect the original hardware and software for the classic systems, but when I have the chance to get a handful of games built into one system for a fraction of what it would cost for the originals, that will tide me over until I can get the real thing. This is exactly what many of these little systems do, in fact some even bring new games to my attention that I never knew about or are so hard to find that I couldn’t possibly get my hands on them anyhow. While not completely the case today, I would have to say the Radica Genesis is still a pretty cool system to own! 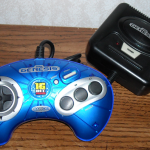 Radica made a few variations of their Sega Genesis plug n play, the one I own is a single player system, which is obviously modeled after the Sega Genesis model 2. 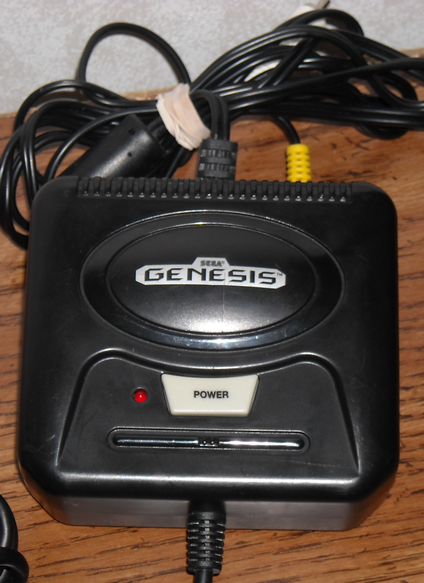 The system has a large, blue Genesis controller hardwired into the system, as well as hardwired AV cables that come out of the back. The system is powered by 4xAA batteries or a power supply, which I do not own. 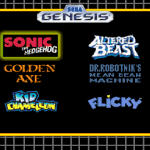 Once the system is powered on you’re presented with 6 original Genesis titles: Sonic The Hedgehog, Golden Axe, Flicky, Dr. Robotnik’s Mean Bean Machine, Altered Beast, and Kid Chameleon. Everything looks to be pretty well executed with respects to the menu, everything is presented by a nice logo for each game. 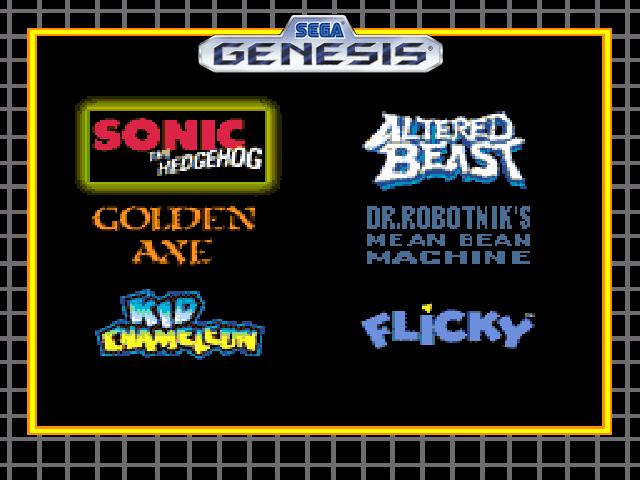 From here you simply move the D-pad in any direction and select the game you want, what I found surprising here is that each game starts up the same way they would if this were a genuine Sega Genesis. 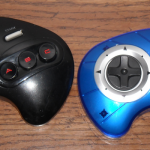 The controller looks and feels exactly like the original, large Genesis controllers, except it is a transparent blue shell, has the D-pad upgraded to the smaller Genesis controller style, and has black contoured buttons. The controller is setup exactly the same as well, with the exception of a menu button to bring you back to the game select screen when you tire of the game you’re currently playing, which is set in deep enough to easily avoid accidental resets. Overall, since this controller has the upgraded D-pad, I find it a bit more comfortable than a genuine Genesis controller. 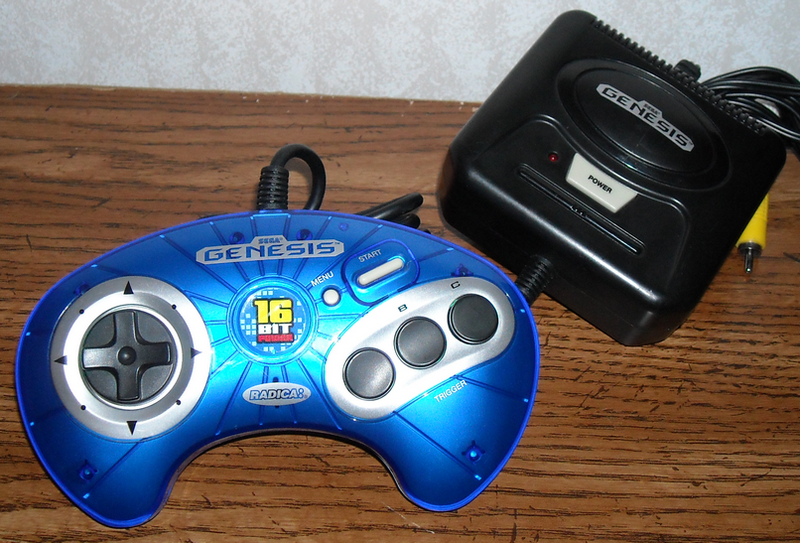 I haven’t noticed any slow down or any significant issues from this being a Genesis on a chip type system; Gameplay for each game is the same as if it were played on a genuine Genesis. The picture quality is good, although you are reduced to mono sound, so this system gives off an organic Genesis experience, to a point. I personally have no issues with this system and found it quite fun. 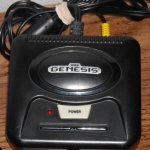 Perhaps my only complaint would be that it leaves out my whole Genesis library and doesn’t get much attention, as opposed to my real Genesis. This does offer games that I don’t own for the Genesis, so sometimes I just feel like breaking it out for those games alone, namely Kid Chameleon. Again Radica made a few variants of this system, so if I happen to get my hands on one I will be sure to review it! Growing up my brother had the blue console before he got a playstation. The Sega games were super fun for me. I think we unfortunately lost it over the years. Wish we still had it!